LITTLE ROCK, ARKANSAS (January 5, 2017) – RaiseTheMoney.com, a political software and payment processing platform, closed its Series A of $1 million. The round was led in part by the Fund for Arkansas’ Future II, LLC and a New York-based private investment firm. In 2015, RaiseTheMoney.com was approved to offer equity investment tax credits from the Arkansas Economic Development Commission (AEDC) to potential investors. Additionally, earlier this month, RaiseTheMoney.com executed an Investment and Royalty Agreement with AEDC for an investment to be used to expand its global political processing platform. RaiseTheMoney.com recently integrated its political payment software with Stripe in order to expand its global reach. This will allow RaiseTheMoney.com to offer the platform and political software to candidates and committees in 20 countries across the globe. It will be the first of its kind on a global scale. The initial countries include United Kingdom, Australia, Canada, Finland, France, Norway, Sweden, Austria, Belgium, Germany, Italy, Japan, Luxembourg, Netherlands, Singapore, Spain, Mexico, Portugal, Switzerland and Hong Kong. 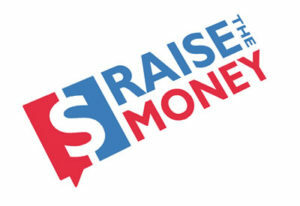 Headquartered in Little Rock, RaiseTheMoney.com was founded in late 2013 by Chris Stewart. This past election cycle, the company boasted more than 2,500 candidates on its platform, making it one of the largest of its kind in the United States. Since its inception, RaiseTheMoney.com has won numerous credible recognitions, including Best Political App by Campaigns and Elections Magazine. Founder Chris Stewart was also awarded a 40 under 40 Award for Best Political Campaign Professional by the American Association of Political Consultants. A week after the presidential election, Chris was featured on a panel discussing New Directions in Digital Politics at the International Association of Political Consultants annual conference in Denver, a conference attended by hundreds of political consultants from all over the globe.